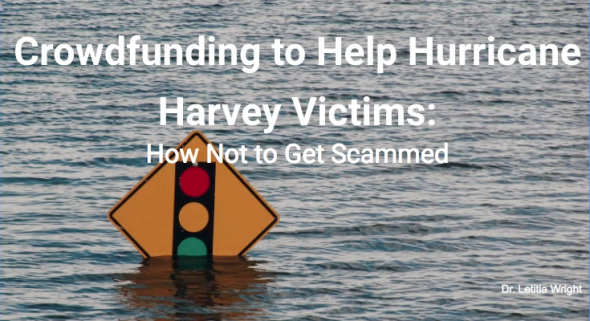 Crowdfunding to Help Hurricane Harvey Victims How not to get scammed. 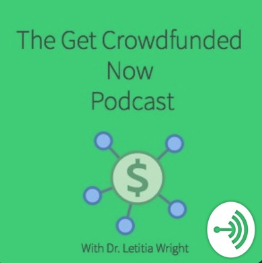 Dr. Letitia Wright shares how to avoid scams and the best ways to help by crowdfunding. There are lots of people crowdfunding to help the victims, but the websites do not always verify each person who starts a crowdfunding project. In this video, Dr. Wright shows you how to verify the charity and the easiest way to help. She gives tips on giving and where to download Crowdfunding Made Easy for free. It’s a quick guide on how crowdfunding works and the top 25 sites she likes for crowdfunding. When you understand how crowdfunding works, it will help you figure out where to put your money. Do not assume that the person recommending the sites have done their homework. Check everything out for yourself.